Whether you need a place to store your boat, a room to keep your old furniture until your teenager moves out on his own and gives them new life, a private closet to store and organize old books and tax papers, or just extra space to hold unused odds and ends that clutter your home, consider renting a self storage unit. Self storage facilities offer various options to meet individual needs. 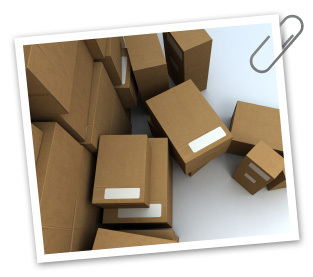 When looking for self storage locations, you may find that they are sometimes called mini storage or cell storage. Units come in varying sizes and are divided within a facility into individual rooms, plots, cells or pods. Most can be rented for short or long periods, even as short as a day. Renters usually provide their own locks, but self storage companies generally provide some level of security. Private gates that require the renter to enter a code or use a key card and security cameras are common. Some also provide security guards, door alarms and 24-hour on-site management. People generally use outside storage plots to store cars, RVs, dirt bikes, tractors, boats and the like. In an outdoor storage facility you are likely to find covered units partitioned by wire mesh. These units come in varying sizes such as 10-foot wide by 10-foot deep or 10-foot wide by 15-foot deep. Heights can vary between facilities. The doors on these rooms often roll up like a garage door. Although they may look like garages, you would need to check with management to see if the company actually allows vehicles to be parked in the larger units. A facility may include several rows of buildings that are divided into numerous storage units. Customers can usually pull their car or truck right up to the door of the unit to drop off or pick up items. To reach these units, you must enter a building and pass through some type of security. Inside you will find storage space available in various sizes from narrow closets to large rooms. Dollies or other equipment may be provided to help you move your items from your car to the storage unit. During business hours staff may even be available to do some of the heavy lifting (be sure to ask before renting if this is an important factor to you). Some indoor facilities offer climate controlled rooms that you may find necessary if you are storing items that could warp, melt or otherwise deteriorate in extreme temperatures. If this is the case, you may want to talk to management about how the room's location in the building could affect the temperature of the unit. Will its location on an outside northern wall mean winter winds will lower the room's temperature more than an interior room? Will the hall window just outside the unit's door let in too much heat? When renovating your home, you may want to have a storage unit on your property for a short time to hold furniture and other items while you paint walls or redo the floors. Mobile storage companies will deliver individual storage units, sometimes called pods, to your house and leave them for an agreed upon amount of time. The units, which may look like small train cars, come in different sizes, and you can rent more than one. If you prefer, you can fill these units over the course of a few days or weeks and have the company move the storage containers to their facility where they will store them for you. If you need to move, the storage company can take the unit where you want it to go. It's a good alternative to renting a bulky truck and trying to move yourself or to entrusting your personal belongings to a moving company that packs and ships. When the storage unit is being stored at the mobile storage company, management restricts access to the unit to the person renting it and may require that person to provide a day or two's notice before visiting. Companies often stack storage pods on top of each other and may have to move yours to the ground with heavy equipment before your arrival. When looking for storage, narrow your options by determining how much you're willing to spend, how much security you require, whether you need climate control, how far you can conveniently travel for easy access to your property, or if you prefer to load your items at home and have the company do the moving. Talk with management and see if they will be easy to work with. Find out how they handle late payments, access to units, security and whether staff will help you to move items. Although these are the main types of self storage facilities, in different parts of the country you may find novel approaches to self storage. For instance, in some geographical areas storage facilities have been constructed within naturally occurring underground caverns because the location tends to maintain a constantly cool temperature that is great for protecting fragile objects like film or perishables like wine. Use StorageFront's helpful tools to see what is available in your area. The advice on this website is provided as a courtesy for informational purposes only. "Storage Tips" are offered as-is and no warranty is expressed or implied. For more information, see our Terms and Conditions.